In the UK, electricians tasked with examining electrical appliances and equipment have to perform a range of tests to meet the certification requirements of the 17th Edition of the country’s testing regulations. To get that job done, many electricians will use multifunction testing devices to save space saving valuable tool bag space. More than 20 different multifunction tools are listed in the online catalog at the Instrotech website. Instrotech is a leading supplier of meters, calibrators, detectors and other testing equipment throughout the UK. 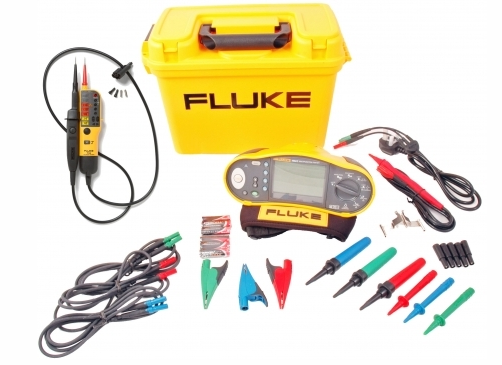 The list includes testers made by manufacturers such as Fluke, Megger, Metral and Robin. All of the devices will perform the basic tests for certification purposes while some of the most advanced equipment can perform tests such as power analysis, earth resistivity testing and phase rototation and some offer the ability to download and store test results. You can browse the company’s lineup at the section devoted to multifunction testers on the Instrotech website.